In August of 2013, after a three year investigation, a multi-state dogfighting operation was raided. Three hundred and sixty seven dogs were seized, making this the second largest dogfighting bust in US history. It took nearly two years of court battles, evidence review and red tape but it resulted in harsh prison terms, huge fines and the rehabilitation of not just the dogs who were seized, but for the puppies born while in custody. Due to the numbers of dogs needing care, the Humane Society of the United States and the ASPCA both set up safe shelters to house them. I met roughly half of these dogs while volunteering with the Humane Society. At the HSUS shelter, staff and volunteers worked countless rotations with the goal of helping these victims of cruelty overcome their former lives. Urgent medical treatment was given, every milestone documented and we rejoiced over tiny acts of courage by the dogs from eye contact to handling. Each time I returned to the shelter, the improvement in the dogs was evident. They began to trust again and learn about toys and treats. They experienced shelter from the weather and looked forward to regular feedings. They finally knew what life off the chain was about. There were some dogs who struggled quietly; they didn't respond to their new world very well. One of those dogs was Homer. Homer had a comfy kennel with a warm bed in an area designated for quiet and calm. He stayed in the back of the kennel, cowering in the presence of people and cringed when touched. Homer didn't show improvement with each of my visits to the shelter. Nothing would change and it was heartbreaking. I started to wonder if he'd ever be okay. The HSUS has a partnership with rescues skilled in the needs of victims of cruelty and when dogs are released from their custody, these rescues step up to start their work with the intention of placing them in loving homes. Bark Nation founder Kelly McLaughlin met Homer during her volunteer time at the shelter and knew her rescue could help him. Exactly six months after he was rescued from the chain, Homer was released through the courts. 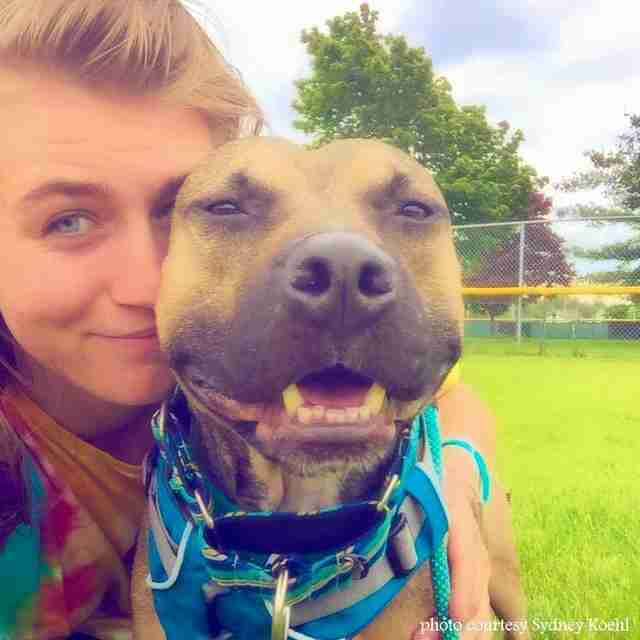 Kelly, along with her sister and Bark Nation co-founder, Kerry McLaughlin, brought Homer and two other dogs who were struggling with fear, Zander and Taco, to Michigan. The three dogs had lived apart at the shelter but they shared a common bond. Kelly and Kerry didn't know what to expect of Homer but they celebrated each milestone. Within a week of being in Michigan, Homer, Zander and Taco allowed themselves to be touched. A month later they were playing with tennis balls. 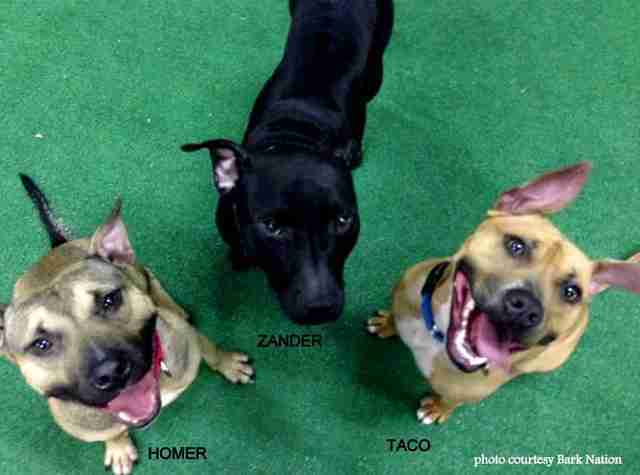 With love and understanding and a lot of patience, Homer, Zander and Taco became brothers within four months. They played together and slept together. Still, it was at least six months before the dogs could cope with meeting new people. Homer became the bravest of the three dogs when it came to meeting new people. One year after the raid Homer met a human who had come to visit and it was evident he was declaring her his own. Sydney Koehl is a college student and artist and felt an instant connection with him. Preparation for Homer's adoption began. Sydney learned from Kelly and Kerry how to continue the work that had been started the day Homer was first rescued. It took eight months of preparation until Homer was officially adopted by Sydney. 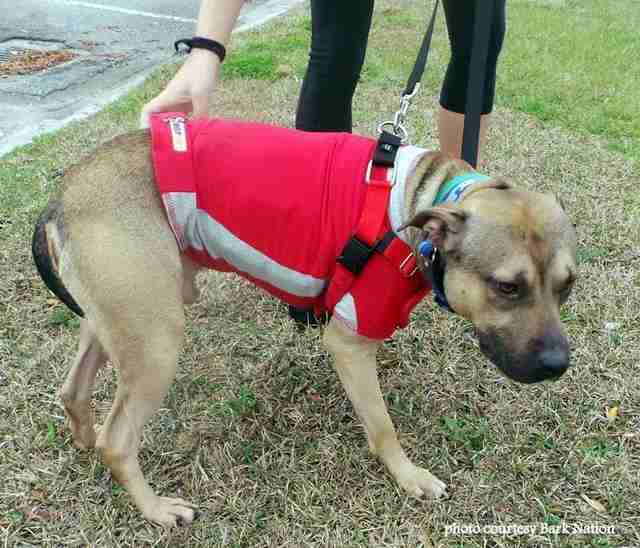 Homer was now in his third transition since the day he was rescued from the chain. No one knew what to expect. In the beginning he found solace in Sydney's bed. Sydney allowed Homer to go at his own speed but also encouraged him using positive rewards-based training. Each day he took a few steps, physically and emotionally. Every day Sydney reminded him how brave he was. His quick potty trips outside turned into walks and walks turned into hikes. He was cautiously curious about everything and after a while even decided the car wasn't so scary because it led to great things, like the beach. Homer's past does get to him sometimes. He has anxiety when he sees other dogs and new people but he remains brave and curious and he trusts Sydney and those he loves. Sydney says, "If there is a day he is scared to go down the stairs, we work through it. Nothing is really a set back. We are moving together even if it's backwards and further again." Homer lived on a heavy chain and was a victim of cruelty. He was neglected, used and treated like property. Since August of 2013 he has walked a trail and climbed a mountain, with a swim at the beach in between. Bark Nation didn't help Homer learn to trust again. They helped him learn to trust for the first time. It's easy to get caught up in the pasts of dogs who come from environments of cruelty. Once rescued they learn love and trust and if they aren't dwelling upon their past, why must we? All of the dogs seized in the raid have since been released by the courts. Many have been adopted and some are still waiting for their forever homes. Many of them reside in homes with other dogs, cats and children, dispelling the myth that dogs once involved in dogfighting operations are "ruined" forever. Sadly, some of them have passed away due to age or illness that resulted from the neglect they suffered. 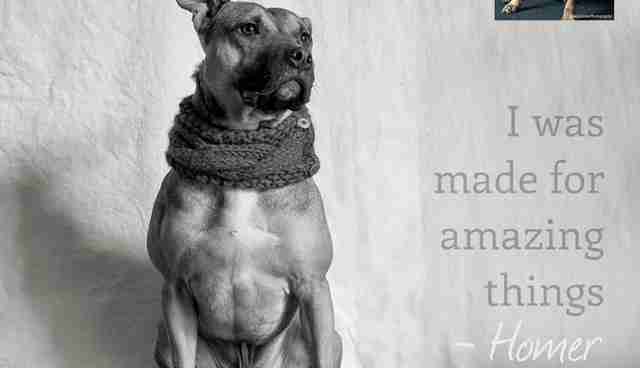 Often people will use the word "dog" to describe any breed type, except for pit bulls. I have heard people describe the dogs in their home only referring to their pit bulls by the breed type. The majority of the 367 are indeed pit bulls but they are dogs. Dogs like Homer who love to hoard toys and be brave and be loved. 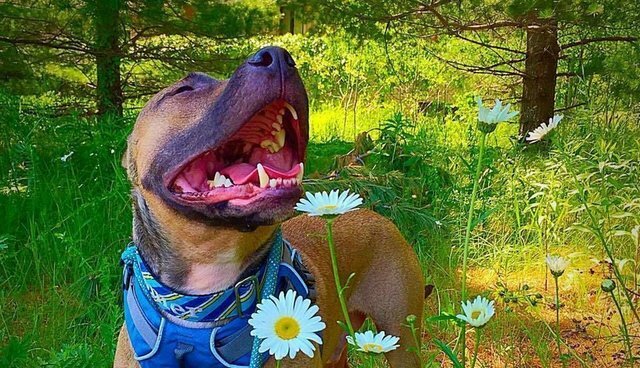 Dogs like Homer who are breaking the stereotype and refusing to be victimized or labeled. It is important to recognize the breed traits of all dogs but it's also important to recognize our dogs for who they are and what they bring us.